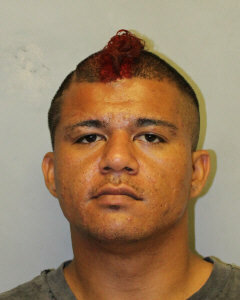 Hawaiʻi Island police have located and taken into custody a 28-year-old Puna man wanted on an outstanding bench warrant and questioning in an unrelated assault investigation. Police arrested Daniel S.K. Valente-Akau late Thursday evening (September 21), in lower Puna. He was held at the Hilo cellblock pending his initial court appearance scheduled for Friday (September 22), at 1 p.m.
Detectives with the Juvenile Aid Section are continuing the assault investigation. Police ask anyone with any knowledge about this investigation to call the Police Department’s non-emergency line at (808) 935-3311 or Detective Christopher Ragasa at (808) 961-8843 or via email at Christopher.Ragasa@hawaiicount….